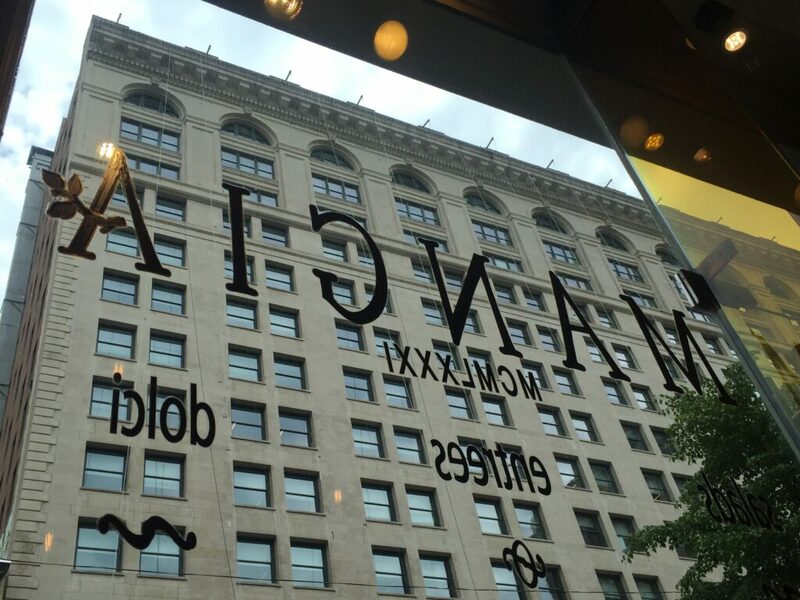 / When in New York, don’t just eat italian…MANGIA! 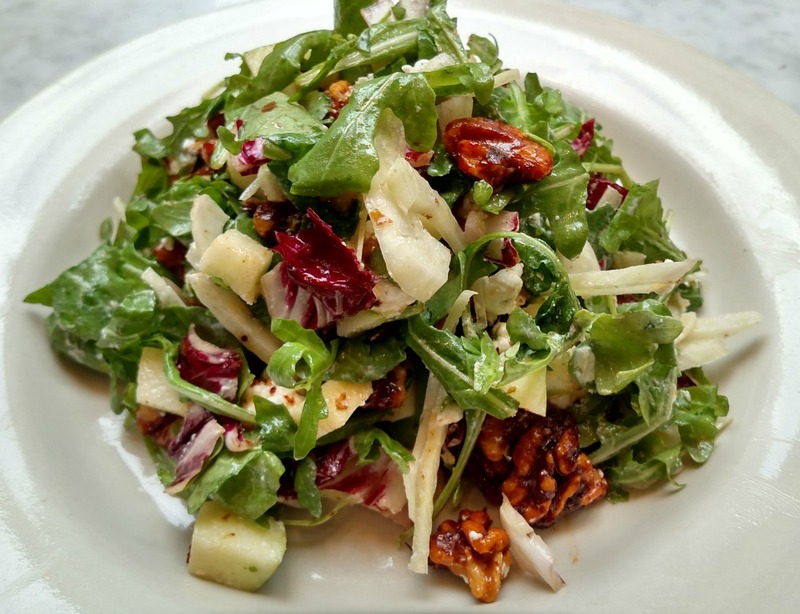 When in New York, don’t just eat italian…MANGIA! While in New York, we were invited to enjoy complimentary lunches at Mangia. All drooling and opinions are our own. The power of social media to to connect is such an amazing thing. 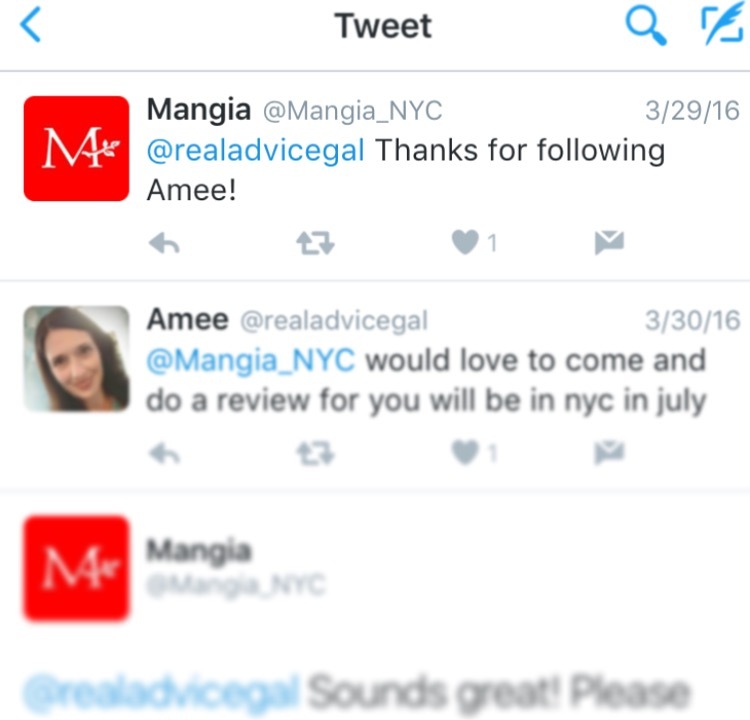 When we were gearing up as a team to head up to New York City for Blogger Bash 2016 we exchanged tweets with Mangia (@Mangia_USA) a wonderful Italian establishment in New York City. We begin an email correspondence with them and arrange to come by and visit while we were there. I live in Orlando and here we have quite a growing movement of farm-to-table food and I was very intrigued to find out that the same food philosophies that are being employed in Orlando are also being used at their restaurants in the city. Because of the hectic nature of our schedule while up there and the hustle and bustle of New York City, we were unfortunately unable to make it over to one of their two full service restaurants. Instead we found our way to their 23rd Street location which had plenty of seating and is definitely more informal than the other two locations. It is also home to their catering operation. I’m not sure if they knew what to expect when four excited bloggers with cameras showed up as they were prepping for lunch, but we descended upon them with more excitement than we could conceal. Everything we saw looked amazing. The variety and color of the food that we were presented with after several days in the city was beyond refreshing. 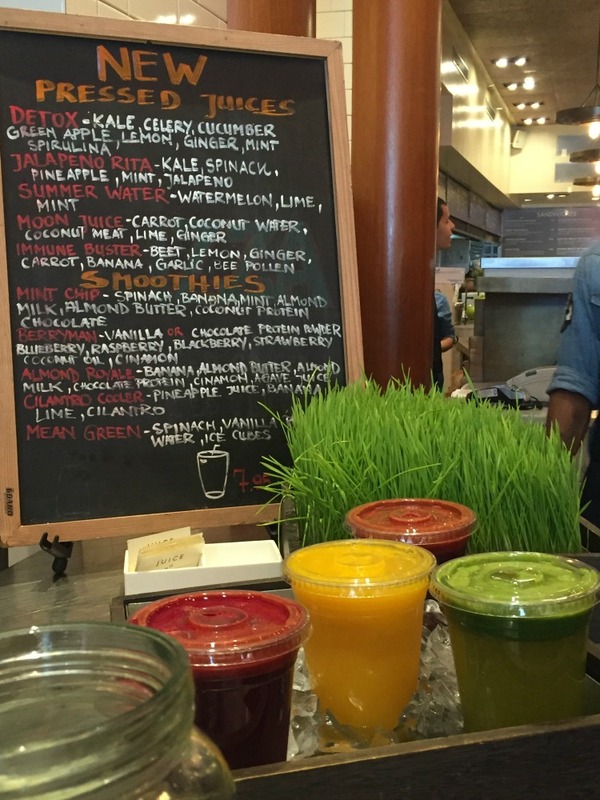 When you first enter you are greeted by an extremely appealing and well stocked juice bar. Then you find you way down the line to an open air kitchen where the chef prepares food to order from an extensive menu. 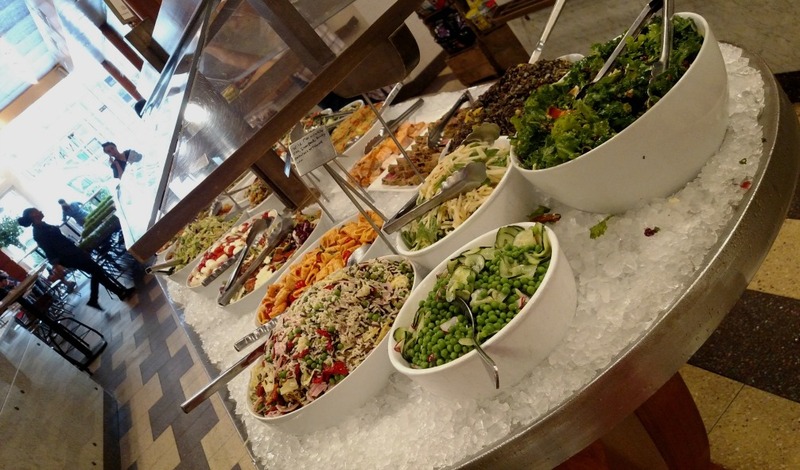 Next you walk around to a beautiful fresh pizza station and sandwich and salad presentation that will make you question your own taste buds decision making skills. 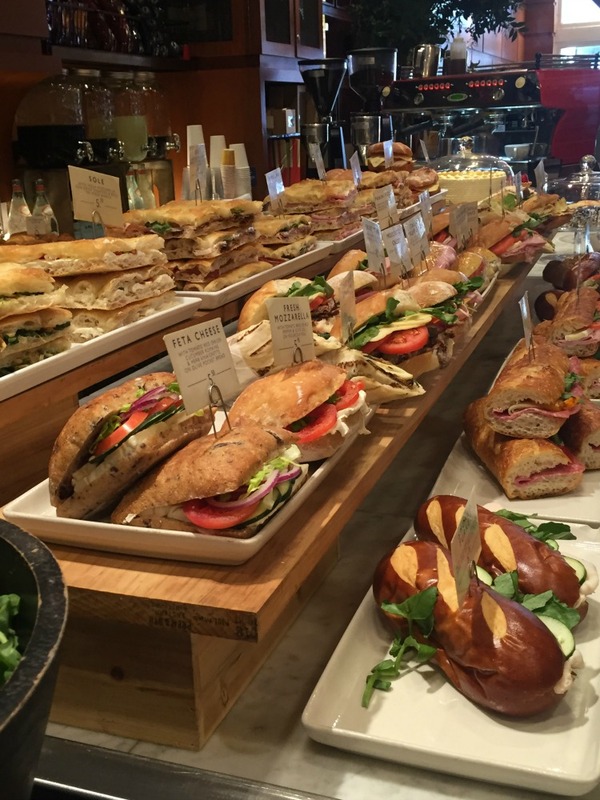 Finally you will find yourself staring down the most delicious looking antipasti bar you have ever seen! I couldn’t choose, so I chose everything. I sampled several of the antipasti dishes. The other ladies choose the dish of the day prepared by the chef, a customized salad, and two different sandwiches. We all sampled each other’s dishes and had a great time in a relaxed atmosphere. The price point, in my opinion is far to low for such amazing food. The freshness and large portions are worth every dollar. Make sure to find your way to one of their locations on your next trip into the city. You certainly won’t regret it! 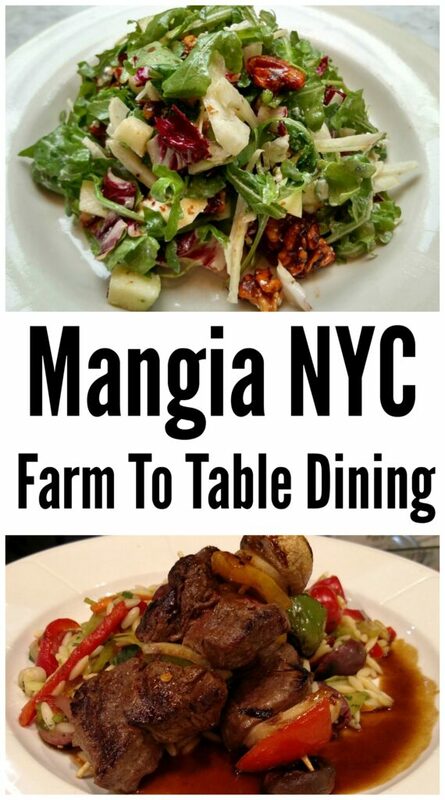 Mangia has 3 locations in New York. If you are looking for a sit down relaxed dining experience then you should visit them at either the 50W 57th St location or the restaurant at 422 Madison Ave. If you are in a hurry and just need to pick up some fresh farm to table food fast then the location at 22W 23rd St is where you want to go.